A Japanese motorsport team has unveiled its latest electric machine to take on the Isle of Man TT course at a motorcycle show in Tokyo. Multiple TT winners John McGuiness and Michael Rutter will ride the Team Bathams Mugen as the team targets a class win for the sixth straight year. 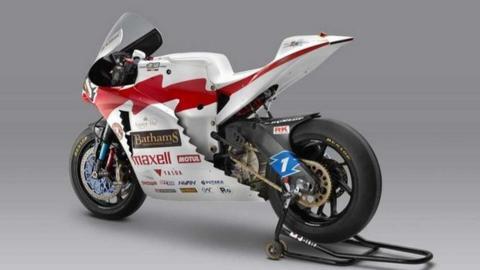 The team say the eighth version of the Mugen Shinden Hachi features "increased output power" and better aerodynamics. In 2018, Rutter won the one-lap event in a race record time. The victory was his sixth TT triumph and he lapped the Mountain Course at 121.824mph. McGuinness and Rutter have 29 TT wins between them, including six on electric machines. A Mugen statement said: "Revisions for 2019 include development of the electric drive train to provide an increase of output power, and aerodynamic improvements to improve bike stability and reduce drag at the higher speeds the bikes are expected to reach". The team believe the improvements can bring another lap record in this year's event, which takes place from 25 May to 7 June.